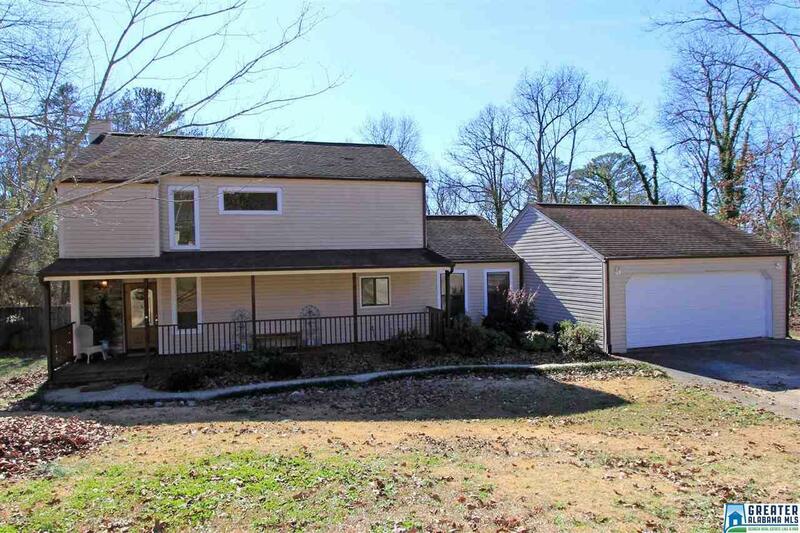 This 4BR 2.5BA contemporary home in Jacksonville sits on a large lot in a well-established neighborhood. This floor plan features a light filled Family Room with stone fireplace, built-in book shelves, wet bar and very cool wood accents on the walls and ceiling; Dining Room with French doors leading out onto the spacious back deck and patio; beautifully updated Kitchen with gorgeous cabinets, sleek black appliances and tile backsplash; and a great Mud Room. HUGE Master Bedroom with two closets and a spacious Master Bath with updated vanity, linen closet, and jetted tub with tiled shower surround. Bedroom on the main level has it&apos;s own entrance, which is ideal for blended families or roommates. Neutral paint colors throughout. Ample parking with an extra wide driveway and double garage. Awesome outdoor living with a large deck and oversized patio with basketball goal. Privacy fenced backyard. Call today for more information and your personal tour!